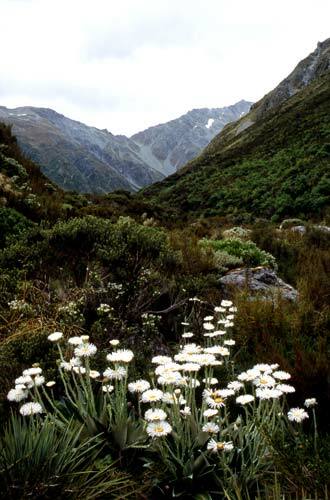 Large mountain daisies are a feature of New Zealand’s alpine grasslands. There are nearly 50 species of mountain daisy (Celmisia) growing in alpine habitats in New Zealand. They all have white ray flowers surrounding a central disc of tiny yellow flowers.